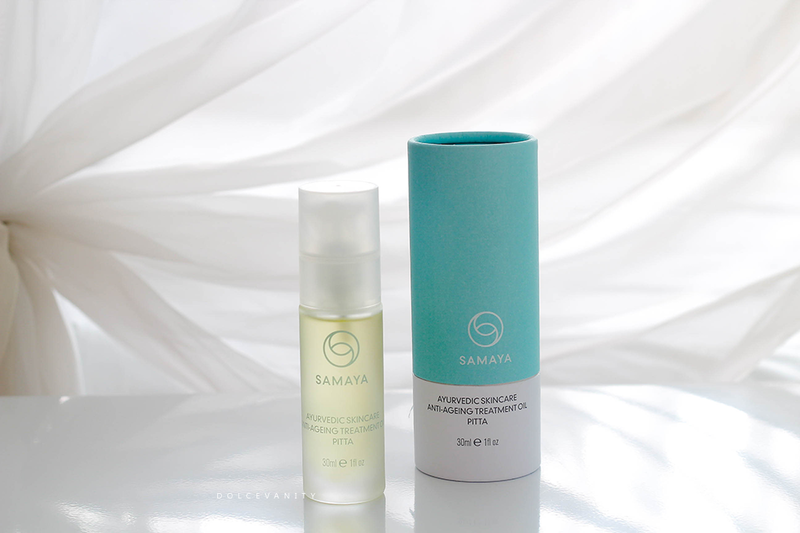 A few months ago I featured a brand called SAMAYA while trying out their pitta cleanser which you can read more about here but to give you a brief rundown on the brand they're an all-natural skincare brand that are based on Ayurvedic principles, one I have taken up in some aspects of my health. By giving us clinically proven active ingredients and anti-ageing compounds that they marry to bring us effective skincare that are relaxing and beneficial. With key ingredients, as beautiful as these; Jasmine Flower Extract, Neem Oil, Saffron Extract, Lotus Seed Extract, Shatavari Extract, Turmeric Root Oil, Spilanthes Acmella Flower Extract, Gotu Kola Oil, Feverfew Extract. It’s hard to not see why this gives benefifts over time. Jasmine Flower Extract; mood boosting, improves energy, reduces anxiety and stress. While helping to balance moisture levels and increase the skin’s elasticity. Antibacterial and anti-inflammatory properties help protect skin. Neem Oil; promotes skin healing, reduces itching and roughness while purifying the skin and neutralising damaging free radicals to give the skin a radiant glow. Saffron Extract; skin toning abilities, helps natural radiance as it helps to reduce pigmentation. Mood enhancing properties, an aphrodisiac that is used often to improve general health. Lotus Seed Extract; anti-inflammatory that contains zinc and anti-ageing enzymes that can repair damaged or sensitive skin while soothing and calming the mind. Very beneficial for blemish-prone skin. Shatavari Extract; In Ayurvedic tradition to be the female equivalent to Ashwagandha, Shatavari’s name in Sanskrit translates as ‘she who possesses one hundred husbands.’ It has been used as a tonic for female health concerns and as a means of reducing stress and tension. There’s rejuvenative properties for skin, helping towards a renewed, youthful appearance. Turmeric Root Oil; Powerful anti-inflammatory and antioxidant, heals skin barrier while protection it from free radical damage and also great for hyperpigmentation. Spilanthes Acmella Flower Extract; considers nature’s botox. It’s an anti-inflammatory, natural, edible botanical extract, that helps to instantly relax facial stress and tension while reducing the appearance of winkles, UV damage and blemishes. Helps restore skin firmness, leading to a younger-looking revived appearance. Gotu Kola Oil; anti-inflammatory and anti-ageing herb, helps fight chronic skin conditions by repairing damage done to the skin, stimulates collagen production in the skin. Feverfew Extract; Chrysanthemum parthenium and Midsummer Daisy is also what this ingredient is known by. It’s a good cooling and anti-inflammatory herb, known historically as a relaxant with soothing properties. I am in love with oils for my skin already so once again - it's more than welcome. Even though anti-ageing isn't something I've thought about, I do like to keep my skin, plump & bright. With everything being so pure, it's more comforting for me. The oil doesn't sit on my skin or block my pores. I apply this after or without moisturiser but I make sure to apply it morning & night - especially at night alongside my humidifier as I find my skin enjoys all the moisture being given and retained. I use it under my eyes too with no problem, I had a little dry area under my eye which didn't look great when applying makeup but since using this, it's helped cure that problem. I love the sound of this brand and product but it's sooo pricey! Not sure I could justify spending that much on myself. I have to admit, I've never heard about this brand before. Thank you for your recommendation, it's something new to consider next time round. Huge fan of turmeric and delighted to see it in more skincare. It's such a powerhouse ingredient.